It’s time for Reading’s two Tory MPs to get off the fence when it comes to Equal Marriage says Reading Labour LGBT Officer, Richard Wood. 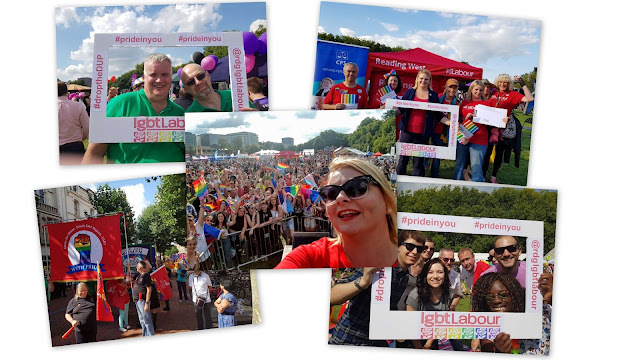 At last weekend’s Reading Pride, Reading Labour together with LGBT Labour and Reading Young Labour asked people to fill in and sign letters (see attached) calling on local MPs Rob Wilson and Alok Sharma to vote in favour of the Equal Marriage bill when it is brought before parliament. Labour Councillors who have signed letters to their MPs include Cllrs. Lovelock, Page, Davies, Eden, K.Edwards, Ennis, Gavin, Hacker, Hoskin, P. Jones, T. Jones, Khan, Livingston, Maskell, McElligott, Rodda, Ruhemann, Terry, Tickner, Williams, and Woodward. Richard Wood comments “I’ll be delivering the letters to the offices of Alok Sharma and Rob Wilson next week and hopefully we may finally get a response from them on how they intend to vote”.